And finally, though you will find them here only half of the year, busy at Cedar Lodge November through April, we have to introduce Caddis Fly’s oldest employee and now owner, Chris (and family)! Who: Chris Daughters. Caddis Fly Shop Owner. 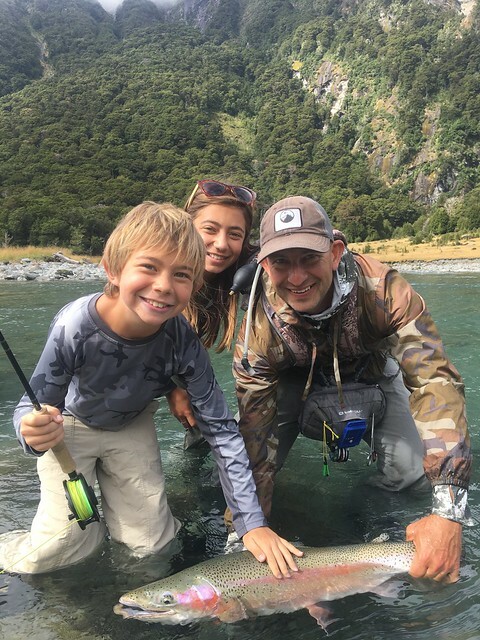 *Chris and his wife Shauna have two kids, Patsy and Cash, and they make up a fanatical fly fishing family. Time at Caddis: Owner for 21 years, but with the shop since I was a kid. I was born and bred Eugenian; I grew up fishing on the Mckenzie. There is so much great tackle out there that is a really tough question. The season at Cedar Lodge I have really enjoyed casting the new SAGE X with the new Scientific Anglers MPX Amplitude fly line. Bauer RX reels are phenomenal trout to saltwater. During the season at Cedar Lodge (Nov-April) it’s all wet wading. Generally we have better success when you can approach the fish from shore. We cross river but don’t wade deep when casting. Locally fishing out of my McKenzie boat will always be special to me as guiding made me realize you could get paid for doing something you love. Where do you fish? I love to travel to fish. Current favorites are the Bahamas, Cuba and New Zealand. Sight fishing is what it’s all about for me. Dry fly, streamer or nymph–and do you tie them? Upstream I dry fly fish, preferably. My son and I tie flies for trip prep, latest creations are nymphs for New Zealand. Salt or Freshwater? Both. I love the salt when it’s cold in the northwest. Interesting folks come through the door everyday, and its a fun environment. You work with like minded individuals working at something they enjoy. Not important to me. It’s about the places fishing takes me, not the size of the fish. 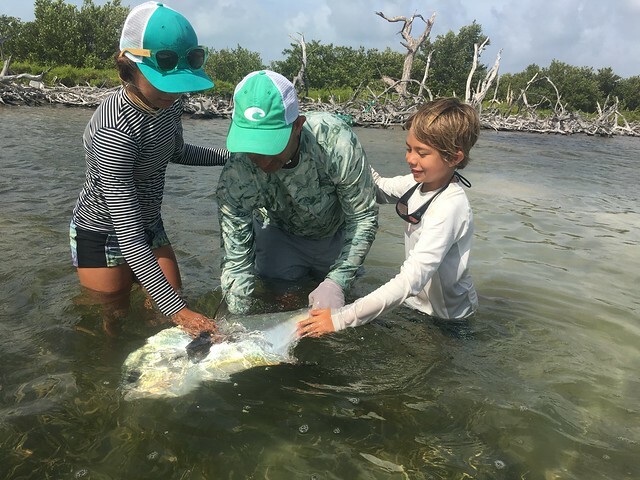 Christopher Daughters is one of the most experienced and practiced anglers around. Not only is he the owner of Caddis, but having grown up in Eugene and in the fly fishing industry, he knows the McKenzie and the Willamette like the back of his paddle, and the products he uses are ones he has watched go from innovative newcomers to the angling arsenal to household names and go-tos. If you need to know the difference between an older rod and its successor, ask Chris. If you want to know where to go on the McKenzie in October when the water is blown out from rains, ask Chris. He’s a busy man, but Chris tries to get into the shop as much as he can. When he is in the states (May to October), he is either in shop or out on the water, guiding on the McKenzie or Willamette. If you plan far enough ahead (Chris is normally booked out for the season by mid-April) you can even get out on the water for a personal tour with Chris as your guide. 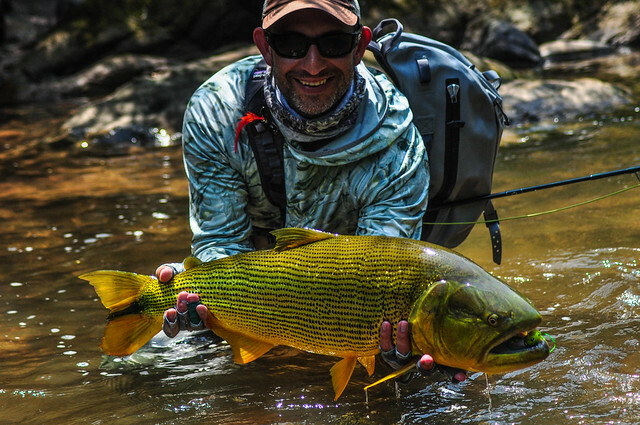 Chris is a wonderful fly fishing mentor and he is always ready and willing to answer any question about fishing here or around the world. And with that, you have met all of the Caddis Fly Crew members! We thank you for reading oregonflyfishingblog.com and for your continued business and support at The Caddis Fly. You, our customers, are all as big a part of our little Caddis Fly Family as we are, and you are the biggest part of why Caddis is the resource that it is for tiers around the world. We look forward to the opportunity to serve you in the future! This entry was posted in Fishing Reports, Fly Fishing Gear Review, Fly Fishing Glossary, McKenzie River, Oregon Conservation News. Bookmark the permalink. This was a great series. Each of the profiles was interesting.